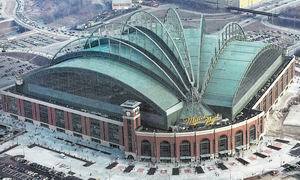 Miller Park is the professional league ballpark for the American League Milwaukee Brewers baseball club in Milwaukee, Wisconsin. The ballpark facility included the playing facilities, clubhouse facilities, physical therapy, media center, materials and food storage, retail, concessions, executive suites, Brewer’s Museum, Office Facilities, and parking all contiguous to the ballpark complex. HMA Consulting provided the security systems, which included computer based access control, alarm monitoring, Closed Circuit Television, parking control and crowd monitoring systems.